WILLEMSTAD - Mr. Reagan J. Celestijn will be appointed deputy judge in the Court of First Instance in Curaçao. The Kingdom Council of Ministers has decided to nominate him for the appointment at the proposal of the Dutch Minister Van der Steur of Security and Justice, on behalf of his counterparts from Aruba, Curaçao, and Sint Maarten. 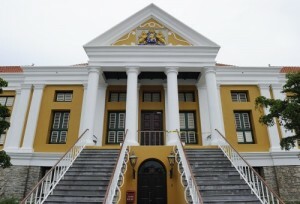 Mr. Celestijn (1981) has been a trainee as a judge since August 2013 at the Joint Court of Justice in Curaçao. As part of his training, it is desirable that he gains experience during trials and therefore it is necessary to appoint him as a deputy judge.